The Harpy Eagle is one of the largest raptors in the world. A predatory bird with huge feet and talons used for hunting monkeys, sloths, porcupines, reptiles and large birds, often plucking its prey out of the trees. Mature adults have a black upper body, white and black banded underside and a grey neck and head with a divided crest. At maturity, the body length is around 35-40 inches (89-102 centimetres) and weighs up to 15.5 pounds (7 kilograms). For an idea of scale, that’s the equivalent 7 bags of sugar, and their hind talons can be up to the size of grizzly bear claws! These eagles build huge nests of fresh green twigs and branches in the tallest, or emergent, trees in the rainforest. Some researchers think the greener twigs help to fumigate the nest against insects and parasites, and provide a cooler environment for their young. Harpy Eagles usually lay only one to two eggs in a clutch and have a slow reproduction rate. Over twenty years a pair may only successfully fledge three chicks. Harpy Eagles usually live below 900 metres but occur locally as high as 2,000 metres, preferring large expanses of uninterrupted lowland tropical forest. They will also hunt in open areas adjacent to forest patches. 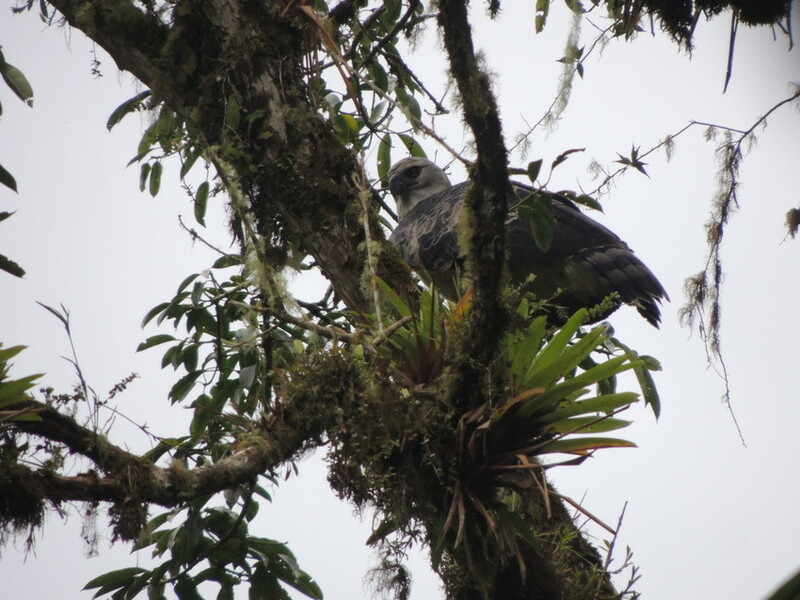 Though their range is extensive, including Argentina, Belize, Brazil, Costa Rica, Ecuador, Mexico, Paraguay and Venezuela, Harpy Eagles are generally rare and sparsely distributed. They are thought to be locally or regionally extinct in large parts of their former range, which covered most of central and north Central America. 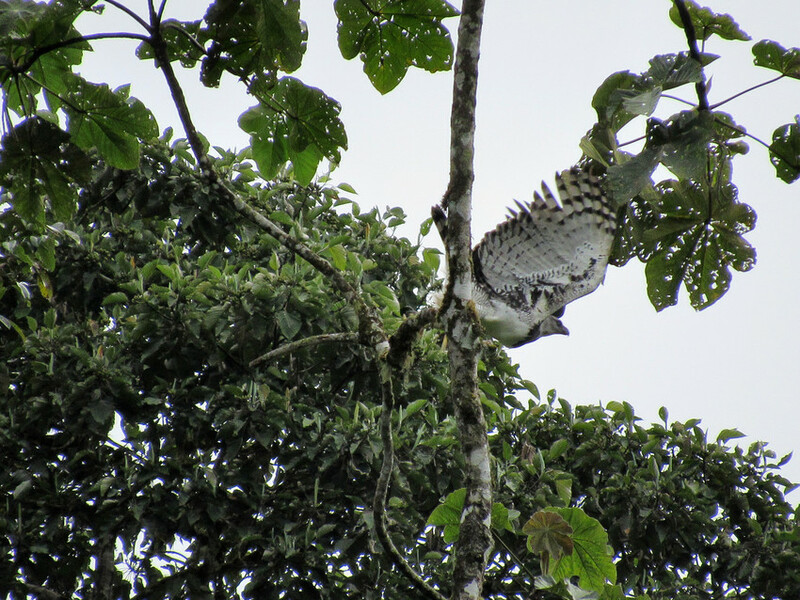 The escalating rate of forest destruction in the region, along with hunting, is threatening the Harpy Eagle’s survival. Low overall population densities and slow reproductive rates make them vulnerable to shooting and despite having legal protection in several countries including Brazil, Panama and Suriname, this protection is difficult to enforce because of the remote and inaccessible nature of their habitat.